Logmatic gives us access to the logs of the entire infrastructure in one place, the ability to filter interesting results and monitor changes over time. It enables comparing data between hosts which is a crucial factor in detecting suspicious logs. Using the analysis of logs from one machine we can draw conclusions regarding the other machines and pick up potential hacking. On top of that, it is possible to verify whether our best practices have been applied. The Logmatic alerting feature allows us to stay on top of things and always be aware of potential problems. We have set a number of restrictions for notifications: for example, if over the last 15 minutes there was a huge number of logs on one of the servers, the tool sends an email and a Slack notification, so that we can immediately check whether there is an issue on the server. We also monitor particular phrases in the log. In analogy to the previous case, the tool sends us an alert and we can check where the issue appeared right away. Integration with Slack and email notifications guarantees that we won’t miss any important event. 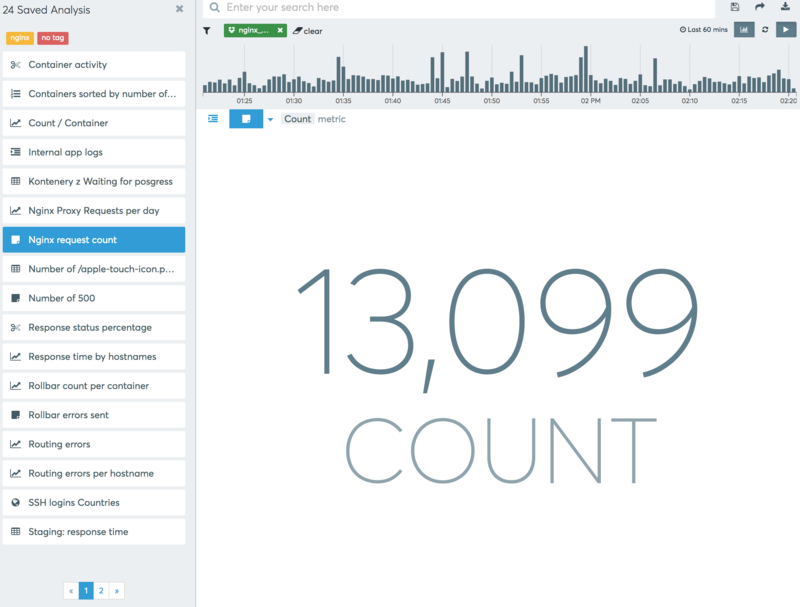 The graph feature allows us to create charts that visualize a lot of interesting data. For example, we can detect most frequently used elements of our apps, or get a visual representation of our average access times. Thanks to this function, we can identify issues and then we optimize the app so it works even better. 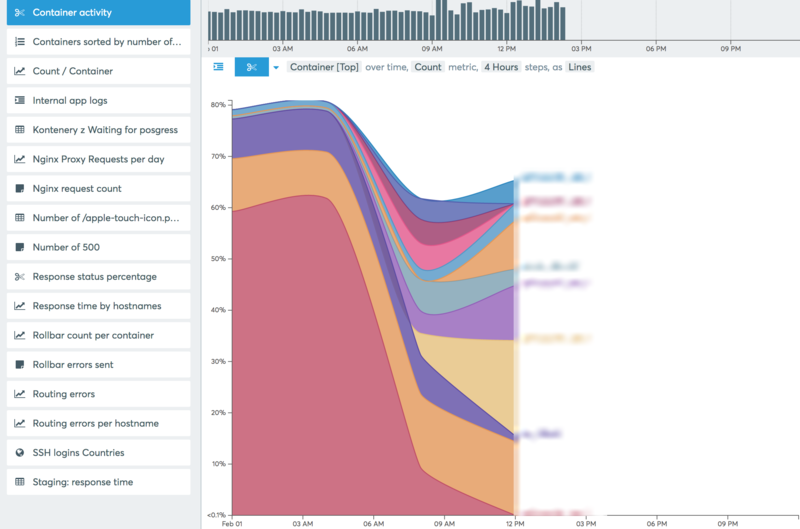 We create tickets for further app iterations based on the conclusions we draw from analyzing graphs. 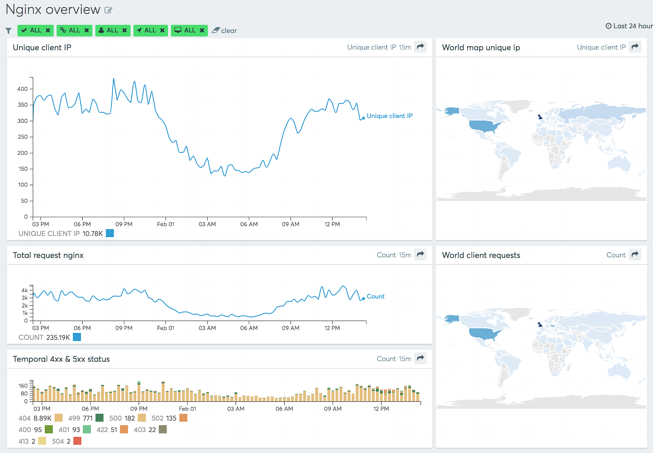 Logmatic’s dashboard gives us an overview of the current condition of our server. Even a quick look at our customized dashboard enables us to quickly analyze the situation, draw conclusions and take immediate action. 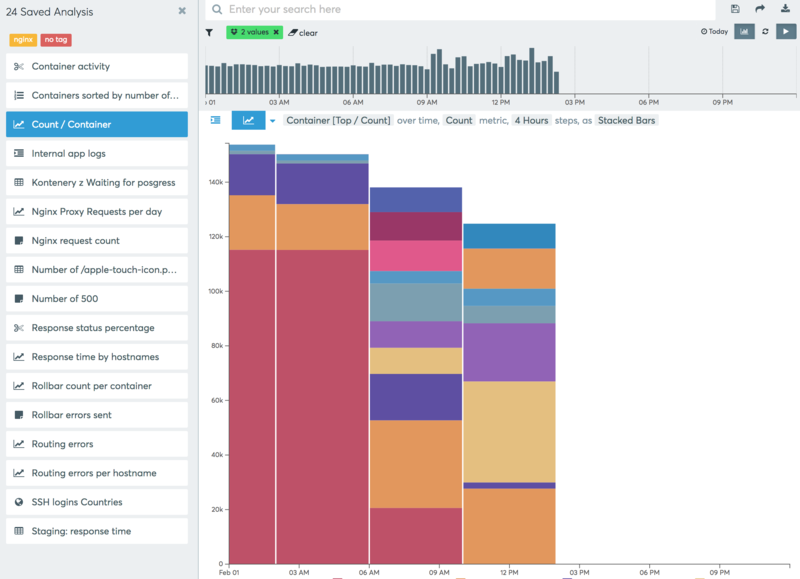 We run many concurrent projects, so it’s important for us to be able to compare them. It gives us another opportunity to identify areas for further optimisation. Logmatic provides us with excellent customer service and support. The consultants are always willing to answer the questions and help with configuration. They also organized the process of onboarding to introduce us to the tool and shared a demo webinar about how to use the platform and take advantage of all its features. In conclusion, we cannot imagine our work without Logmatic now. It gave us a wide range of useful functionalities that help us monitor and optimize our apps to precisely fulfill our customer needs. We diminished the risk of losing data logs and improved security of our products. We have to be sure we’re always up-to-date with what’s going on with an app so that we can react immediately when an issue occurs. Without such a tool, we would be at risk that when the connection with the server is lost, we can also lose all the data logs stored there. We cannot afford such a risk, as our clients must be certain their apps are secure and safe.